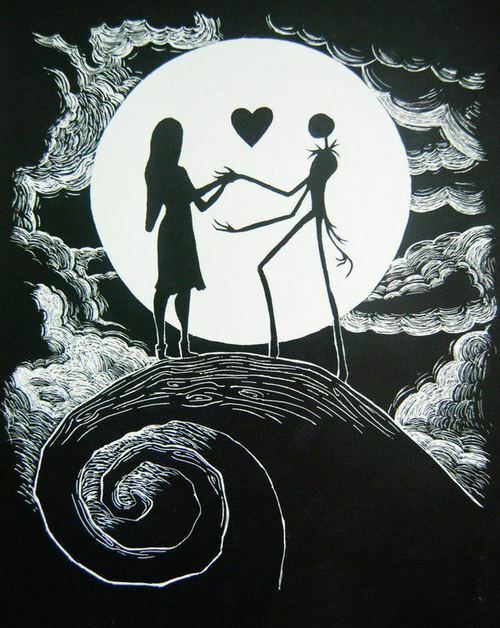 This Nightmare Before Christmas fan art contains sign, poster, text, and chalkboard. There might also be triskelion, triskele, anime, comic book, manga, and cartoon. Cool & it looks like there in love but I know that there in love lol!!!!! !